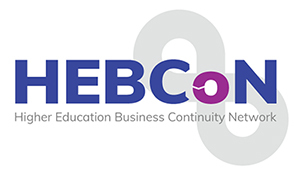 HEBCoN are delighted to be corporate partners with theBCI, the leading membership and certifying organization for Business Continuity professionals worldwide. The HE sector is incredibly diverse, and those with responsibilities for coordinating or managing BC within HE institutions have a wide range of backgrounds, experience and expertise. However there is a lot that can be learned from the ways in which other sectors practice BC, and this partnership will hopefully help to promote these to HEBCoN members. Access to the members only section of the BCI website, including a free download of the BCI Good Practice Guidelines. Access to the BC24 online incident simulation game. Member rates at all BCI events. Communications from the BCI including eNewsletter and Continuity Magazine. If you would like any further information please contact us.